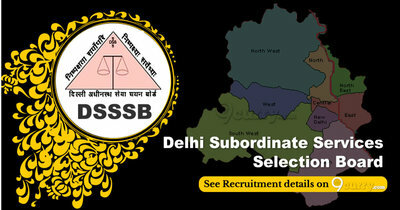 DSSSB Recruitment 2019 - Apply Online for 204 Welfare Officer/ Probation Officer/ Prison Welfare Officer & Other Posts in DSSSB, Delhi on Regular Basis. Online Applications are invited by DSSSB - Delhi Subordinate Services Selection Board from 31 Jan 2019 to 05 Mar 2019 11:59 PM for 204 vacancies. 1. 12th pass or equivalent under 10+2 system from a recognized Board or University. 1. Degree in Engineering in Environment/Civil from a recognized University or Institution. Eligible candidates may apply online at DSSSB's website (direct link is given below) from 31 Jan 2019 to 05 Mar 2019 11:59 PM. After applying online applicants need to send the hard copy/print out of online application form to GNCT of Delhi.